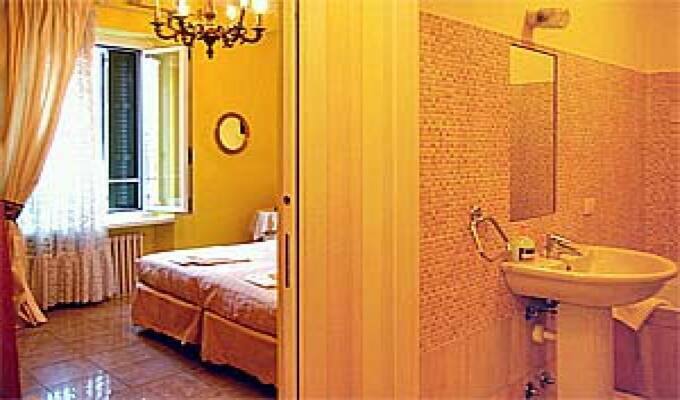 The AD Centrum B&B is in the historic centre of Verona just about 570 metres from the Arena (colluseum), and 2 Km from Porta Nuova railway station. The historic building has been recently restored and rooms are pleasantly firnished with antique furnature and objects. All have private en suite bathrooms, Television and Air Conditioning. Verona is world famous for its Roman amphitheatre, the Arena, completed around 30 AD, which is the third largest in Italy and it is still in use today - and you must not miss the opera there on a warm summer evening . Verona is also the home of Romeo and Juliet.